One piece Gold by Hisato Boasting top hair stylists & Technology from Japan headed by Hisato Suzuki. Hisato Suzuki and team will bring forward the latest cutting edge hair styling in Indonesia and make every women feel beautiful with their own character and unique. Hisato Suzuki and team will bring the unique chic and effortless style. With clientele ranging from the young to the young at heart, and celebrities from film/TV industry, we are looking forward to be the hippest hair studio in town. Different from the heating technology currently used in most hair studios in Indonesia, Care Pro applied supersonic waves for perming & bonding. With the help of the dynamic supersonic wave vibrating 37.000 times / second, the molecular of superb ingredients for hair and the protein can penetrate directly into hair cortex. With the special function of Supersonic, the damaged hair will be recovered directly without heating and swelling, causing less expansion of hair cuticles. 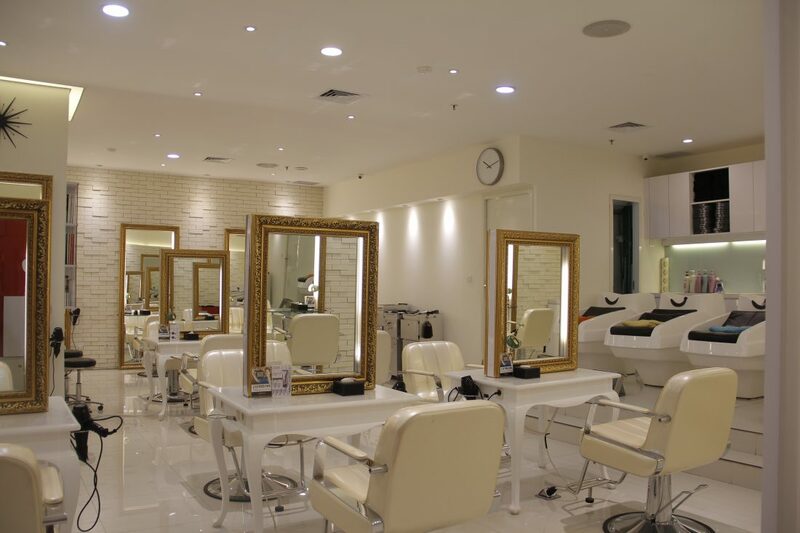 Our hair studio also apply the latest technology in curling and steaming treatment. For digital curl free hair styling, we’re using ODIS 2 product by OOHIRO achieving perfection in hair-curling treatment. Using the latest nano-technology, the steamer we use produces a double effect using the power of steam for deep yet gentle penetration into the hair. Ultrafine water particles exert ability to penetrate the hair that has never been seen before in order to achieve the desired effect. Our new hair steamer technology will truly satisfy our privileged customers’ needs. The Carbonated Water System is good for people with any type of scalp, dry, oily, normal, everything! What it does is it peels off the dead skin flakes on the scalp which can’t be removed even after regular hair wash with shampoo. It also removes the excess oil on the scalp so the next process will be perfect! Your hair will look shinier after this treatment because they use Soda Water! They showed you the result of this treatment, and I do feel a lot cleaner after this treatment. Carbonated water help to stimluate the blood of circulation on your scalp and amazingly remove sebum, silicon & wax from scalp and hair. Perfect moisture balance for hair texture to make hair more shiny. Carbonated water cover your hair from permanent damage and maximize the color process. One Piece by Hisato and One Piece Hair Studio has launched revolutionary technology from Japan for the first time in Indonesia. This technology is called “Bio Straightening”. It retains the moisture content in the hair after a damaging activity for the hair. Bio Straightening will also continue to moisturize the hair and make hair easy to maintain after rebonding or hair curling until the results last longer and have a natural look. When you finally met your best hair style from your whole life with the best angle you can give while taking a picture of it, OMG.. 7 hours didn’t mean a thing if you have this kinda hair, THANK YOU @onepiecehairstudio (Mall Kelapa Gading) I’M THRILLED !! Let’s talk about hair make over! After 22 years of living on this beautiful world with virgin hair, I finally decided to change it with digital perm. So when I was given the opportunity to perm my hair at @onepiecehairstudio, i went for it right on! This has been the prettiest my hair has ever been in it’s whole existence, and it’s all because of One Piece Hair Studio talented hair stylists… No more painstaking hours every morning with a curling iron!